I want to explain one thing before I submit this picture. I have something around me that's bad! Half of the time I hear things talking in audios of videos clips I make. Sometimes things talk to me through sounds and even use lifeforms to say things to me. I think this is the bad stuff that's around me creating this weird stuff on this picture. I think this has everything to do with me or maybe not. Anonymous, I would respectfully recommend meeting with a pastor / priest. Show them what you have and ask for prayer. I would strongly caution you not to be over embellished with this stuff. Exclude this stuff and its exposure to your life. Seek the lord! I'm an exorcist and have other cases, but I will pray for you. Danny with deliver us from evil lookingup4jesus@gmail.com. Ok I was visiting Dallas during the winter of 2010-2011. 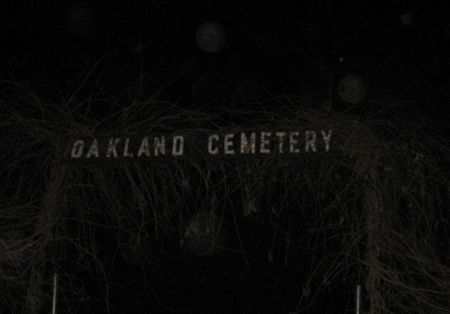 I have family buried in Oakland Cemetery in Dallas and really wanted to check out the place. It is very old and my ancestors died in the early 1900s. I manage apartments and my housekeeper was cleaning a vacant apartment when she noticed a dark spot on the wall. 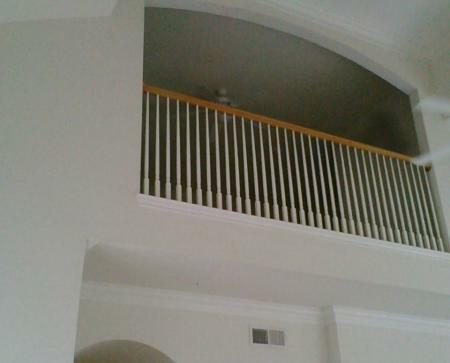 She took a picture of it so she could show the painters where they had missed painting. 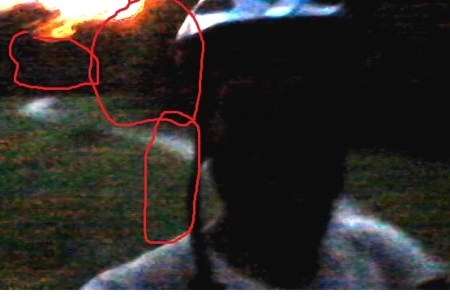 I saw a ghost like that.